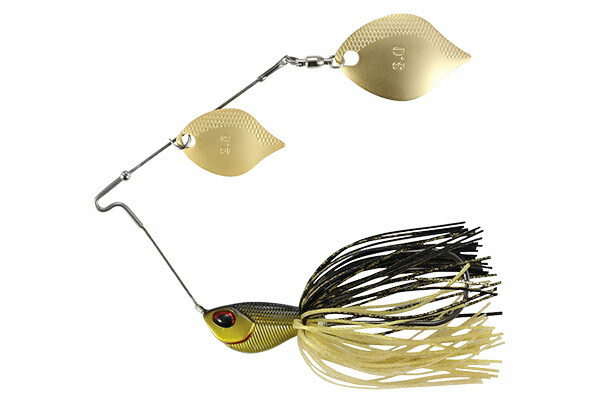 Generally, a spinner bait has some conflicting characteristics. It has an amazing ability to appeal to a vast body of water, yet has difficulty being used at high speed with its large rotating blades. 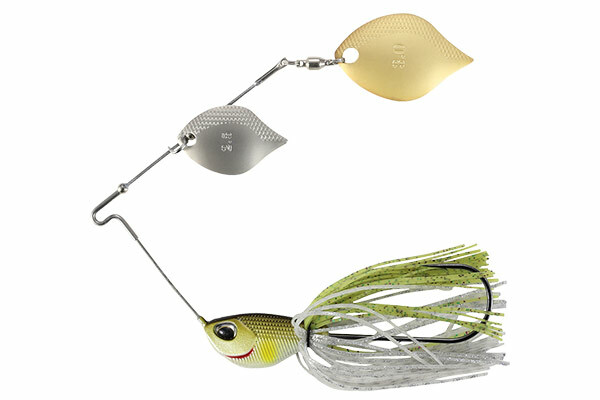 By employing a soft wire in the arm section of the Realis Cambiospin, it has enabled this spinnerbait to change its shape and size depending on the retrieval speed. The blades will efficiently spin as soon as the angler starts retrieving and will continue to do so even when retrieved slowly. When the angler speeds up, more water pressure is applied to the bait, transforming to a thinner form to maintain the swimming balance. 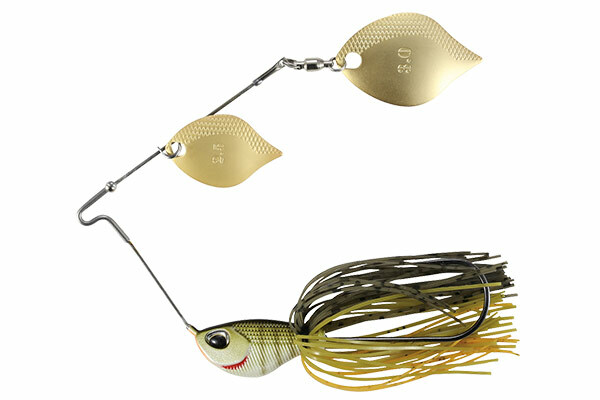 We have loaded the bait with a Colorado type and a Willow type shape blade for increased appeal and its ability to swim in high speed retrieval. In addition, the eye hole has been especially designed as a “tear drop” shape for each blade to rotate opposite to each other. 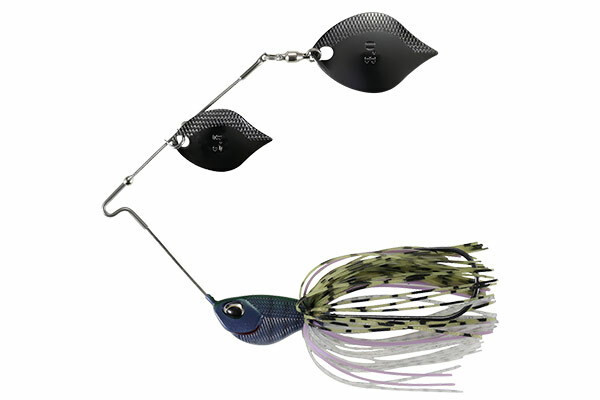 This has prevented the bait to lean to one side when retrieved and improve its performance. The head section is made up of a lighter density material called Zinc. 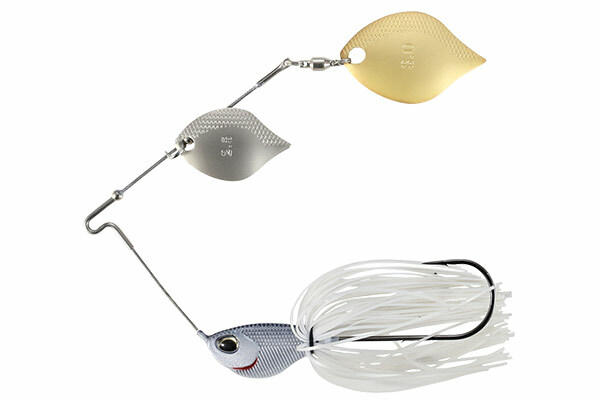 This has allowed us to increase the body size to match the blade, mimicking a school of small and flat bait fish. 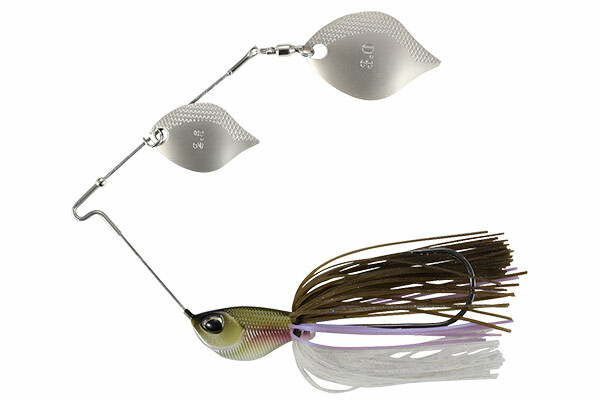 This Realis Cambiospin has brought about a new change to what is known as a spinner bait. 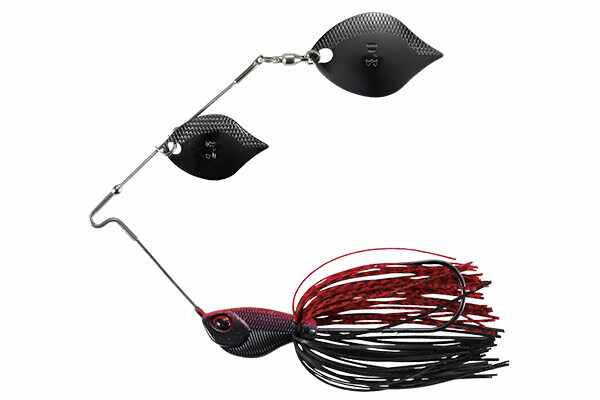 Double blade Cambio features an original composition with one Colorado blade for more appeal and the other being the Willow blade adaptable to high speed retrieval. The eye hole has been especially designed as a “tear drop” shape for each blade to rotate opposite to each other. 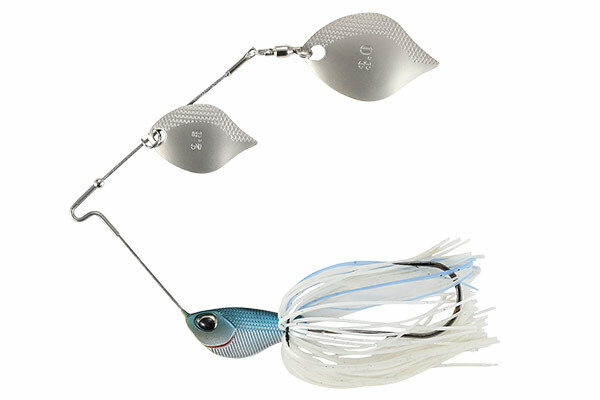 This has prevented the bait to lean to one side when retrieved and improve its performance. The most unique aspect of the Cambiospin is the soft wire structure. 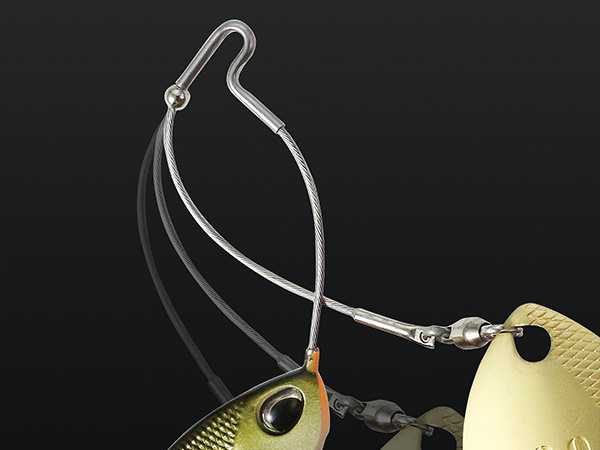 The lure will transform to a more compact shape when casting, allowing for more casting distance and a more stable flight posture. 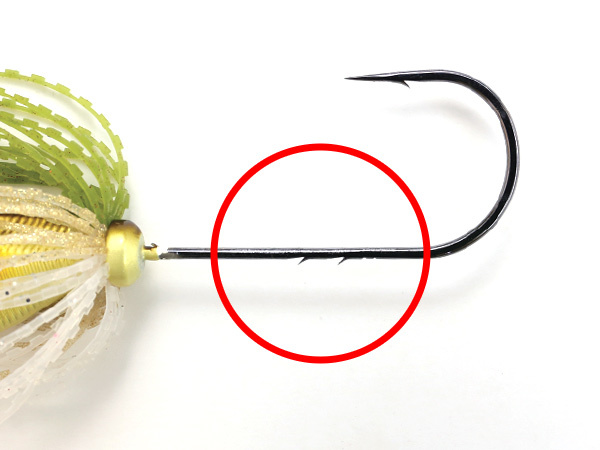 When the angler changes the retrieval speed, the lure will transform its shape, inducing a reaction bite from your target. 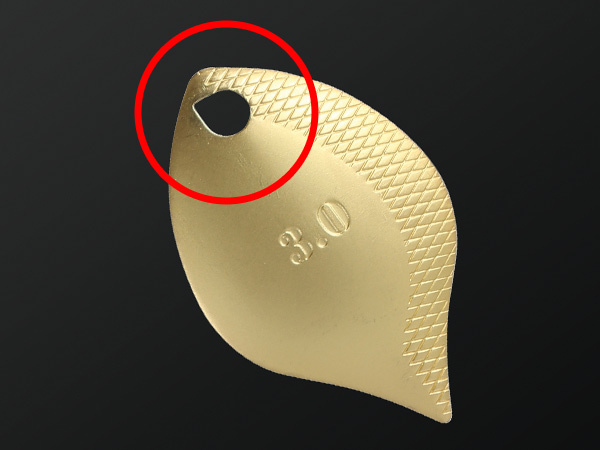 We have loaded the lure with a worm keeper which not only holds the soft plastic in place, but also allows anglers to change around the soft plastic without damaging it.